Another trip to the bookstore? Yes, we made it out one more time. Just in case anyone didn’t believe we take advice from out listeners. Not the parts about lighting ourselves on fire because we know that’s all in good humor. That and we did that once and it wasn’t nearly as exciting as you might assume. A pity we no longer have the video. 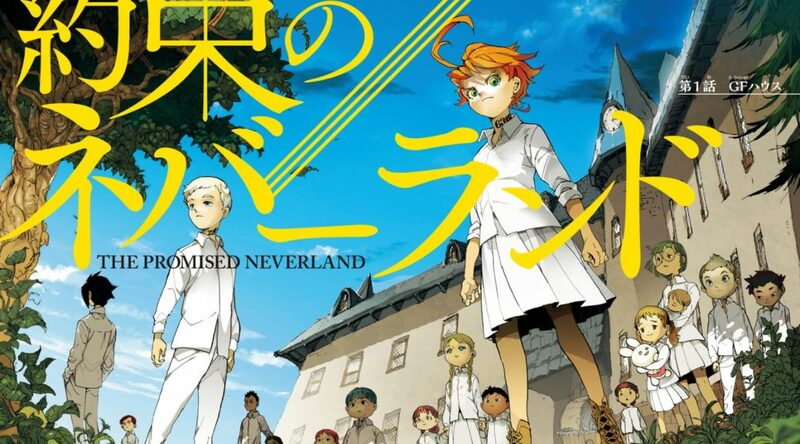 Tim reviews The Promised Neverland. From the cover, Tim assumed it was one of those slice of life mangas that make him search longingly for a hangnail to remove. It is about an orphanage where a whole herd of children live in a seemingly timeless era where no one has a computer. Except when they’re taking tests. There’s a twist to everything which earns it a Read It Now. Weltall’s Neeko wa tsurai yo is a manga about what we can only call “millennials”. The obnoxious version of a vague generation propped up by clickbaiting articles desperate to milk a little ad revenue from hate-sharing. The main character, Niito, is educated and young but not working or doing anything. She’s boring and would be improved by being thrown face first into an emptied pool. For the crime of being so boring that we’d rather be practicing calligraphy it earns a Burn It.